Flamenco del Encuentro: WORKSHOP WITH MARIA BERMUDEZ-JEREZ POR SOLEA Y BULERIAS!!!! WORKSHOP WITH MARIA BERMUDEZ-JEREZ POR SOLEA Y BULERIAS!!!! 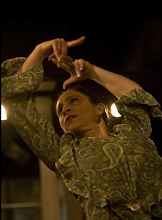 FLAMENCO DANCE WORKSHOP WITH ONE OF THE MOST FASCINATING FLAMENCAS IN THE WORLD TODAY! 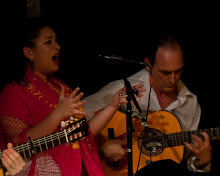 her outstanding and critically acclaimed performances have graced the stages of prominent venues in Spain, North America and thoughout the world, including the Hollywood Bowl and the John Anson Ford Theatre in Los Angeles, The Joyce Theater and Lincoln Center in New York, Festival de Beaucaire in France, and the Teatro Villamarta, Spain as part of the prestigious festival flamenco de Jerez. Ms. Bermudez was honored in 2002 by the City of Jerez for her relentless dedication to the artistry of the region. The unique and compelling story of how this beautiful, talented Chicana from Los Angeles moved to Spain many years ago and developed from a hungry young flamenco dancer from the US to the world-renowned, respected and beloved part of the Jerez flamenco scene that she is today inspired an award-winning documentary film "Streets of Flamenco". 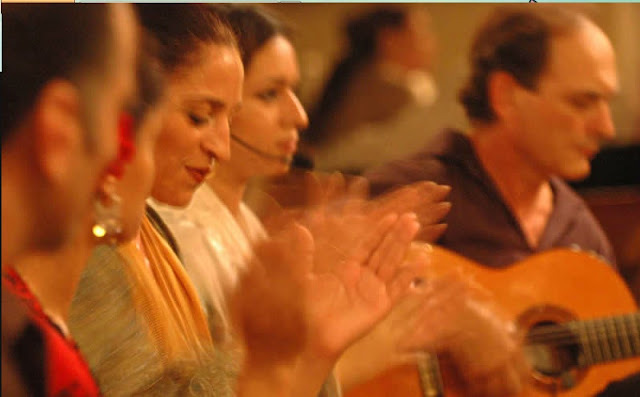 Maria's journey was helped and inspired by many of the great figures of flamenco who took her under their wing and guided her-like El Farruco-and Maria gives back to the Universe by sharing generously everything that was given to her. 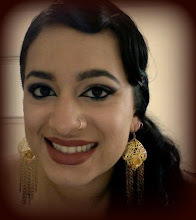 She is kind, and funny, and warm-students of all levels will feel safe and inspired in her classes! and BULERIAS "ATOPE!" in the level II classes! of course.....all classes will be accompanied by LIVE GUITAR AND CANTE! Maybe we will be able to arrange an opportunity for a "fin del curso" juerga where we can all perform the pataitas Maria will be teaching????? PLEASE DON'T HESITATE TO CALL OR E-MAIL ME WITH ANY QUESTION AT ALL!